The third national start-up festival, Techfest 2017, attracted more than 4,500 visitors and witnessed the signing of 29 investment deals worth a total US$4.5 million. Addressing the closing ceremony on November 15, Deputy Minister of Science and Technology Tran Van Tung said that this year's event attracted over 45,000 people and 250 start-up enterprises. 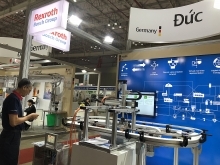 In addition, 29 investment deals were committed with a total value of over US$4.5 million and more than 170 investment connection activities were held both before and during the event. Techfest also received interest from 50 domestic and foreign investment funds. Over 150 businesses and start-up support organisations showcased their products and services at an exhibition held within the framework of the event. Tung noted that following two days of hard work Techfest 2017 completed all of its content as scheduled, adding that the event was previously expected to attract more than 4,000 visitors and 200 start-up businesses. The Deputy Minister stated that a number of seminars in the fields of agricultural technology, education, healthcare, tourism and cuisine, potential technology, pioneering technology, finance and start-up support were organised with the participation of many managers, investors, successful start-ups and experts from both at home and abroad. Along with the launch of the National Startup Portal, the Ministry of Science and Technology will continue to implement the National Innovative Startup Support Project, Tung said. Techfest 2017 also selected the 10 best start-up enterprises who surpassed more than 300 others to enter the final pitching round of the 'Innovative Technopreneurs Contest' and they will be provided with support and training courses from investors and sponsors. 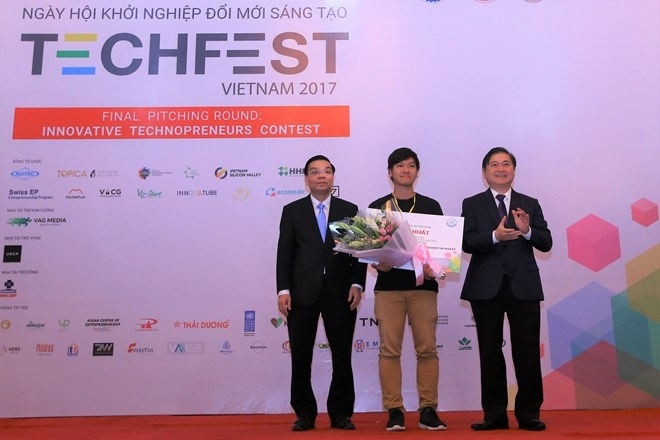 Techfest is one of the largest national annual festivals for Vietnam’s start-up ecosystem's stakeholders which is expected to boost the entrepreneurial spirit and start-up support among Vietnamese people.